Worst night of NOT sleeping EVER!!! Why does it always happen like that? The night before you have to wake up really early you wake up REALLY early… and can’t fall asleep again. It’s like once you have been awake and laid awake for a few 20 to 30 minutes Sleep goes like, “Well that’s my shift over” and he NEVER comes back until you almost fall asleep at the wheel or at work or in church and then you think WORST EMPLOYEE EVER!! Yes, this happened to me. I do think that the pizza I had should be blamed. Sleep probably thought, Woman how do you expect me to work under these conditions, you stuff your face with meaty stuff crust pizza and then you expect me to work while your body is jumping around like a mental person wearing a shower cap going “What can I do in here”. One thing I can say is that pizza about 2 hours before sleep is a no no… for reasons I shall not name here. 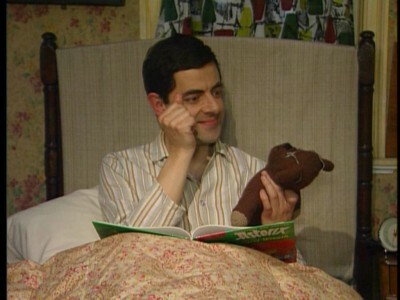 I tried everything, putting my earphones in and listening to soothing music, opening the door, making sure that all sources off light are off, drinking water, laying really still and going “sleep-sleep-sleep-sleep-sleep” I even wished I could hire Mr Bean to snap me into sleep like he does his teddy. Although if he had to be so close to me I would probably wet myself. NOTHING!! So after about an hour of this I got up, made coffee (now I know what you are thinking but no, that’s soooo not the cause) and opened my laptop. Then I washed my hands with this awesome scrub I bought at a market the previous day… seriously that stuff makes your hands feel like the skin has turned into velvet. So after putting new music onto my phone and sorting through all of my pictures on both laptop and phone and then writing this exciting blog piece I feel tired again… and guess what? Its an hour till my alarm goes off. Murphy, you are a cold hearted skank! !